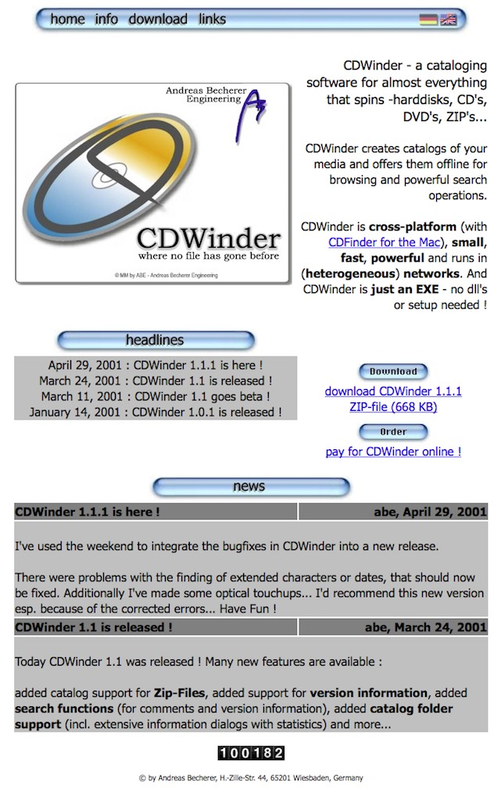 To mark the ten year anniversary of CDWinder in 2010 (CDWinder 1.0 was released back on 18th of December 2000), we gathered a collection of screenshots to illustrate the development of CDWinder an its website over the years. Enjoy! 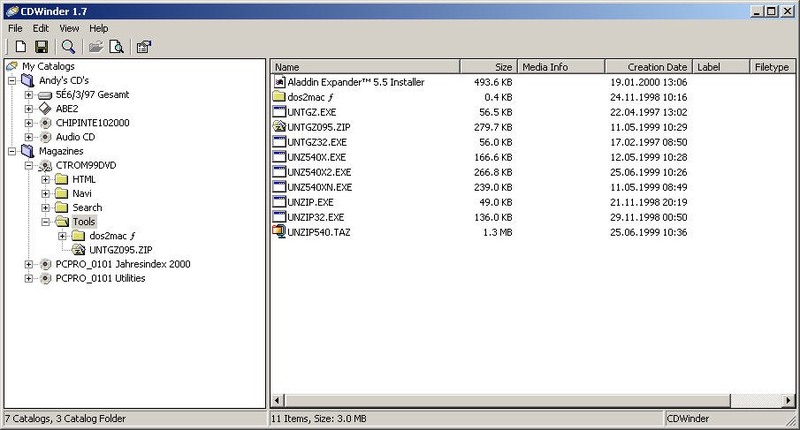 CDWinder 1.0 running like a charm on Windows 7 this morning, showing its command over the latest catalogs of CDWinder 5.7.2. 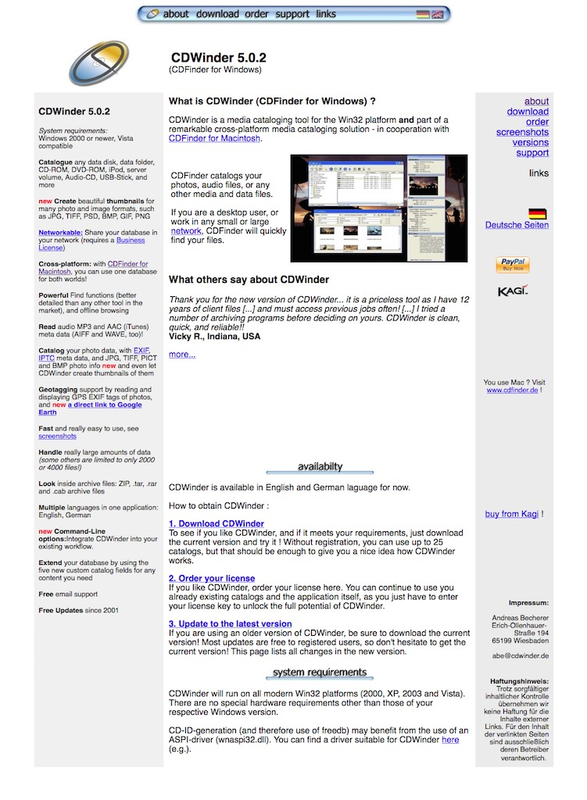 The CDWinder Home Page back in 2001, when we had just released our first version. 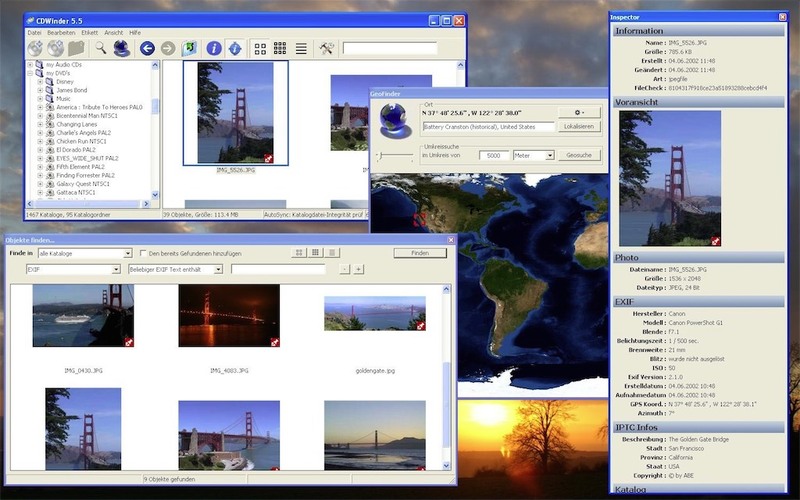 The main screenshot of version 1.0. The main screenshot of version 1.7. 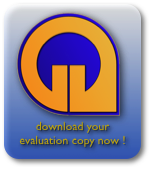 The main screenshot of version 2.0. 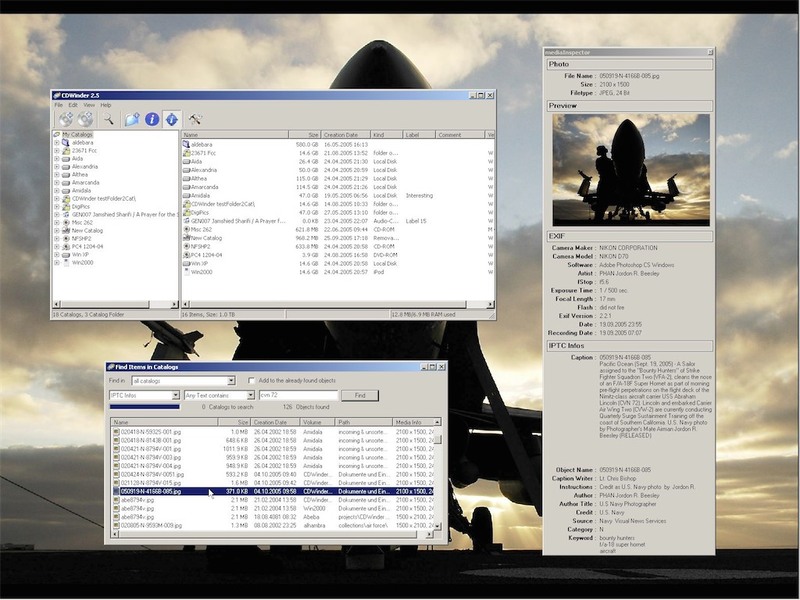 The main screenshot showing CDWinder 5.0 in action. 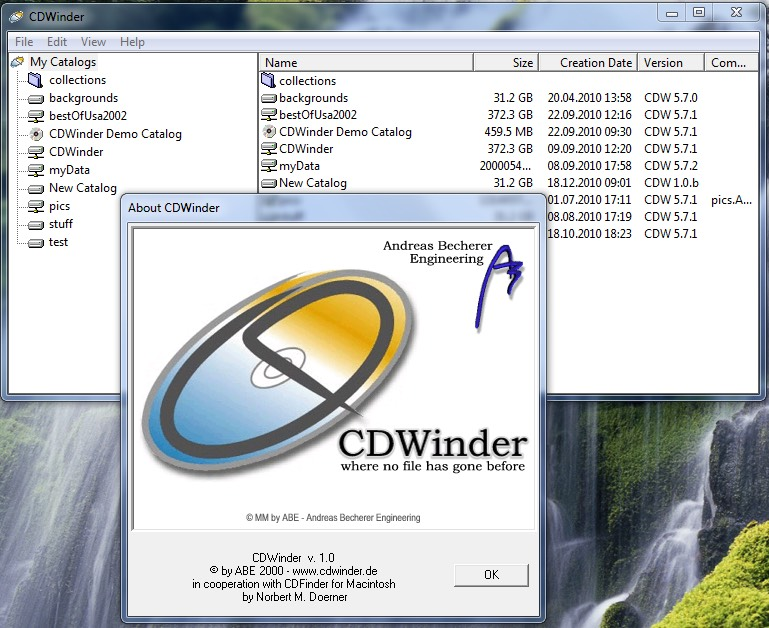 The main screenshot of CDWinder 5.5. 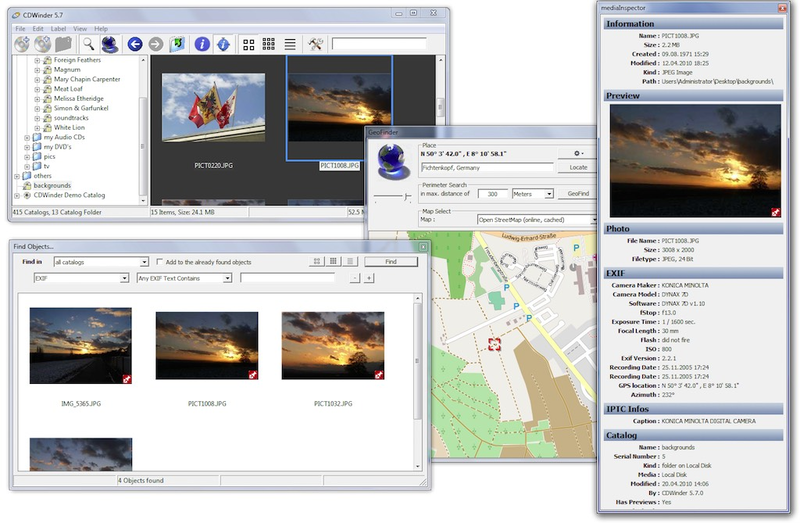 The latest screenshot of CDWinder 5.7.